Today is Martin Luther King day and Americans have heard many tributes to King, a great leader who helped to bring about the dream of equality for all Americans. Every schoolchild learns about Martin Luther King and his inspiring work, but not everyone knows that his wife Coretta Scott King has also been a source of inspiration for many children. 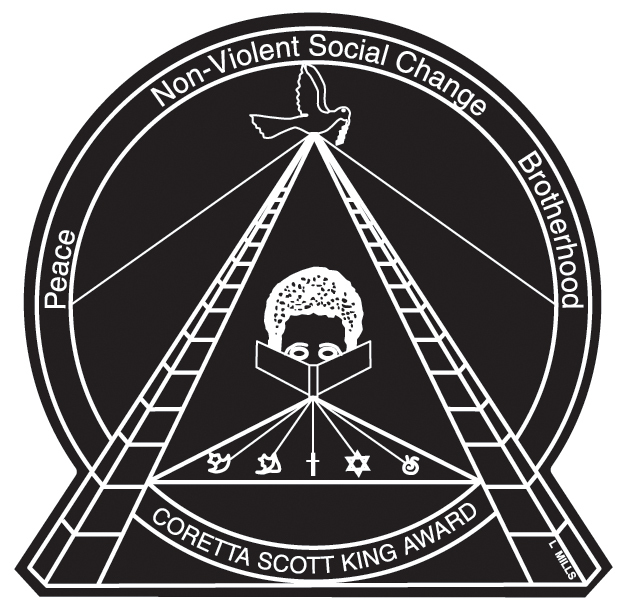 Coretta Scott King, who died seven years ago this month, left an ongoing gift to American children in the form of the Coretta Scott King award of the American Library Association. From its beginnings in 1969, the Coretta Scott King has honored the work of African American writers and illustrators of books for children. The 2013 author award went to Andrea Davis Pinkney, author of Hand in Hand: Ten Black Men Who Changed America. The illustrator award went to Bryan Collier, illustrator of I, Too, Am America. What a wonderful gift to give to America’s children! Some of the best books of the last half century have been honored by this prize and have enriched the lives of many Americans. So when we pay tribute to Martin Luther King, let’s also give thanks to Coretta Scott King for her many contributions over the years and the legacy that continues to honor her name. Hear, hear! There is so much discussion these days of the disadvantages that children face when they don’t grow up with reading as part of their lives. By helping to advance the cause of children’s reading and simultaneously to inspire children by introducing them to the best work of African-American writers and illustrators, Coretta Scott King has helped all of us. You are so right! The illustrators who have received the awards should also be honored for what they have brought to the books. They have made the stories come alive for children. Adele, Thanks as always for your thoughtful blog. You are so right about the King Award book award winners – I’d add also the illustrators who have brought these books alive in wonderful illustrations of the content.